Roads Business Software Ltd - Bespoke intelligent integrated business software for a wide range of industries, including trade and contract style working. Fully Integrated, intelligent business software, CRM, stock integration, Job management with bespoke adjustments, to meet your business needs. Cloud, or home based infrastructure..
Are you worried about the funding for your infrastructure upgrade? We can assist in providing grant funding for your purchase. The biggest challenge we face as a software company moving into an SME market, is educating business's on why it is important to make things easier for yourself. We visit many different business types and infrastructure systems, all without exception could be running much smoother and with less effort. Why is it important to make things easier? Reduced running costs, improved profits, greater time management, more direct sales focus, account management and analysis... many reasons that all contribute towards business growth, improved profits and greater understanding of how you can improve as a business or enterprise. So why do many business's not invest in infrastructure and time management systems? We are passionate about helping small & medium sized business's achieve growth and success! Our typical customer is a small but enthusiastic and growing business. Quite often most business's start using pen & paper, excel spreadsheets, word templates, maybe a home-grown Access database. These are fine and offer essential flexibility for the early stages of a start-up business. Implementing a Roads like system will help and support your business to grow to its full potential and give your customers an efficient and professional service. 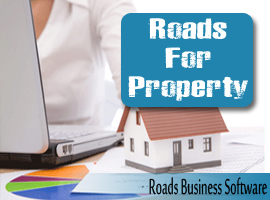 Roads is the UK's best software package due to the combination of quality meets affordability. They want to work with you, your budget and your business type.